Pioneers in the industry, we offer socket weld coupling and socket weld union from India. Our range of Socket Weld Coupling is available in various grades and sizes of stainless steel and alloy steel to meet the requirements of automotive, paper & print, and allied engineering industries. 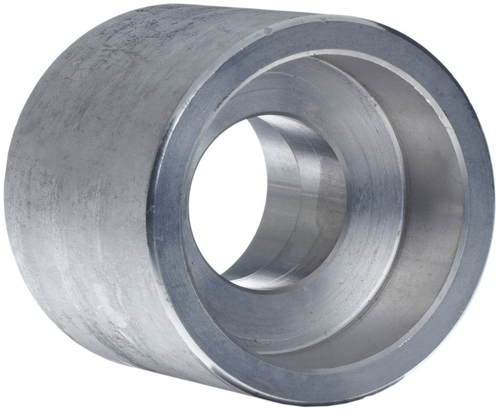 These couplings are fabricated using quality steel and are resistant to corrosion. We offer customization on our range as per the specification of clients. Stainless Steel Grades: ASTM A 182 F - 304, 304H, 304L, 304LN, 316, 316H, 316L, 316LN, 316Ti, 309, 310, 317L, 321, 347, 904L, etc. Stainless Steel in Grade ASTM A 182 F - 304, 304H, 304L, 304LN, 316, 316H, 316L, 316LN, 316Ti, 309, 310, 317L, 321, 347, 904L, etc. Nickel Alloy in Grade Cupro Nickel (UNS No. : Alloy 706, Alloy 715, Alloy 71640), Hastelloy (UNS No. : N10665, N10276, N06455), Nickel (UNS No. : N02200,N02201, N02205), Monel (UNS No. : N04400, N05500), Inconel (UNS No. :N06600, N06601, N06625, N08800, N08825), Titanium, Alloy 20, etc. We are engaged in manufacturing Socket Weld Union that are fabricated using quality stainless steel and carbon steel. Available in DIN, SMS, ISO, 3A, RJT, IDF standards, our range finds application in chemicals industries, fats & fertilizers industries and ship building. 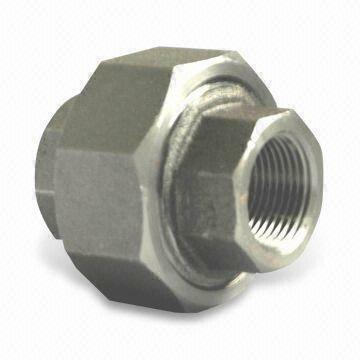 Looking for “Socket Weld Fittings”?